Buenos Aires is one of the most visited cities in South America and for good reason: it is a stunningly beautiful, lively city, full of culture, art, architecture, street life, history and more. Everything here is wonderfully chaotic. There are hundreds of things to do here, but for now, let’s talk about the 11 best Buenos Aires tours and activities that you should try to experience while in the capital city of Argentina. Also known as La Reina de la Plata or The Queen of the Silver River, Buenos Aires’ name can also be translated as “fair winds” or “good air” which fits perfectly with the fair winds that come from the ocean (although the city can be quite hot and muggy during the summer). The name was attributed to the Spanish sailors’ devotion to Santa Maria de los Buenos Aires for bringing them safely to shore. 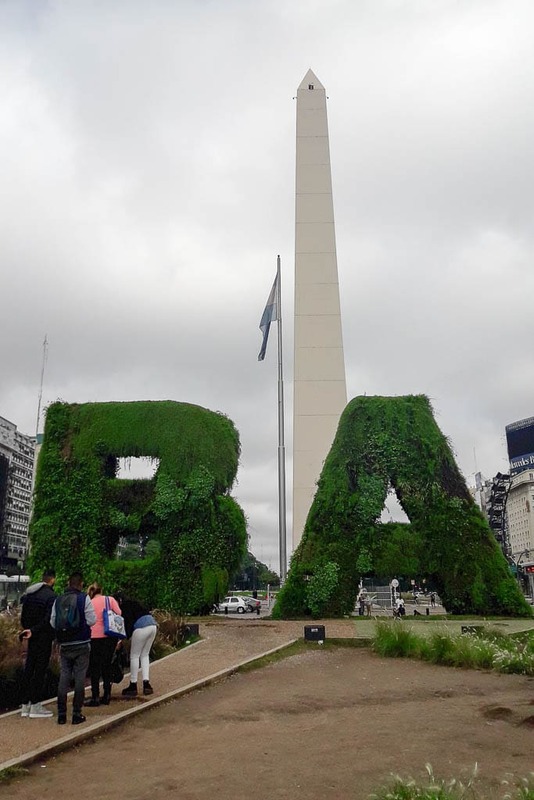 The second largest city in South America is home to about 16 million Argentines and the city welcomes more than 3 million tourists from around the world each year. The locals call themselves Porteños meaning people of the Port. Buenos Aires is more than just the tango, milongas, Malbec, empanadas, gauchos, polo, and soccer. All of which I highly recommend for you to experience. But as you go around this beautiful city, you will find even more things that will amaze you and these types of activities will make you love Buenos Aires, just as much as I did. One of my favorite ways to see any new city is by exploring it on foot, and one of the best ways to do so is to join a free walking tour. In Buenos Aires, there are so many free walking tours offered by locals and professional guides that it can be hard to choose which one to join. In my opinion, one of the best choices is the Afternoon City Center walking tour by Free Walks Buenos Aires which starts from the National Congress Building. The tour will take you to the most important places in the city center of Buenos Aires where European architecture abounds. 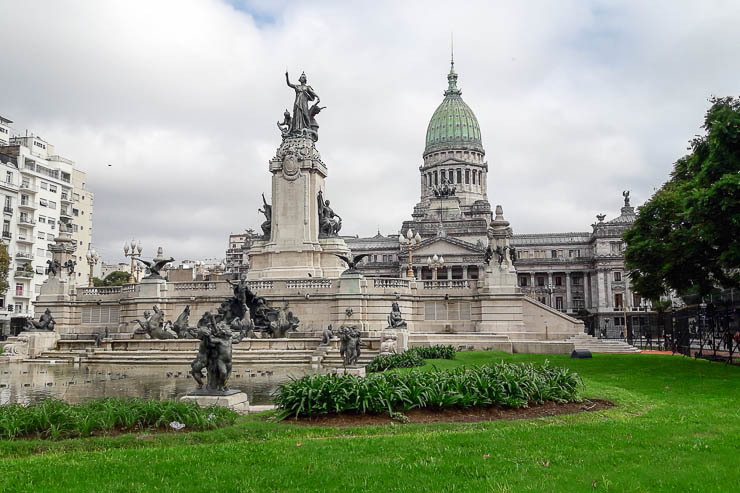 You will get to learn more about the ever complicated Argentine economy and politics while walking from the National Congress Building over to Pink Government House (Casa Rosada). 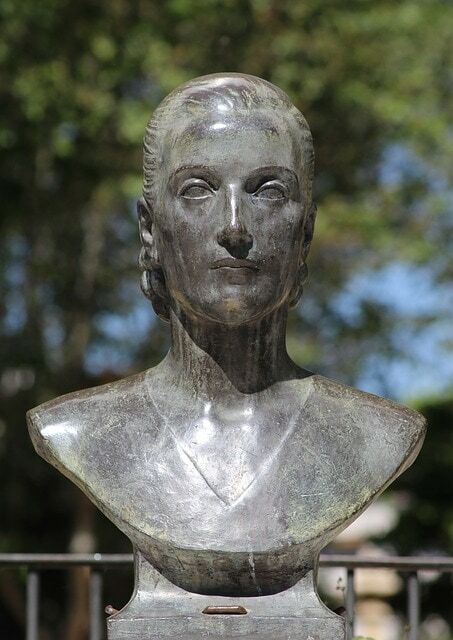 Evita Peron is one of the most famous women in the world and is a real-life Cinderella figure who has risen to become the heroine of the working class. Your tour guide will also narrate Evita’s life and give insights that go well beyond the Madonna movie. And oh, another super famous person from Argentina is Pope Francis. I am pretty sure you have heard of him too. Remember for this tour, there is no need for you to book in advance. Just show up ready to walk and learn, with all ears to your guide! This tour is absolutely free and will take about 3 hours. (Don’t forget your tip!) The tour starts every afternoon at 3:00 PM at the gate of The National Congress (Av. Entre Rios 51). Look for the guides in orange shirts. Vamanos! Get more information about the Free Walking Tour Buenos Aires: City Center Tour (Afternoon) here. They also offer a cool walking tour in Recoleta, which is also worth doing. There is no other dance more important here in Buenos Aires than Tango. The Piazzolla Tango Show offers a complete experience and ambiance of a classic Argentinian tango theater. You will also get a chance to see the most modern style of tango in the city. 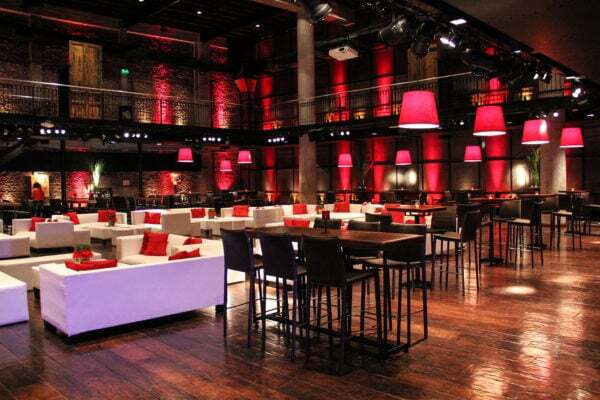 The whole night will be capped off with a typical Argentinian dinner served in style and glamour. The iconic century-old Galerie Guemes is the home of the Piazzolla Tango. Styled in the early 1900s Art Nouveau by Italian architect Francisco Gianotti, this historical building is one of the first skyscrapers in Buenos Aires. The theater itself is one of the most luxurious in all of Buenos Aires and it is said that the acoustics of this theater is comparable to Teatro Colon. The glamorous hall is where you will have your dinner. Music will be top-notch with the best singers and musicians of Argentina. Just a heads up, this show starts pretty late and I suggest you get some tapas or an aperitif before you go. You will be served with a late dinner and the show finishes well after midnight. Tango was born in Buenos Aires, Argentina and there is no other place on earth where you can get a more authentic show than this. Whether you’d like to learn it or watch an exclusive tango show, it is a sin not to experience the intimate elegance of tango while you are in Buenos Aires. 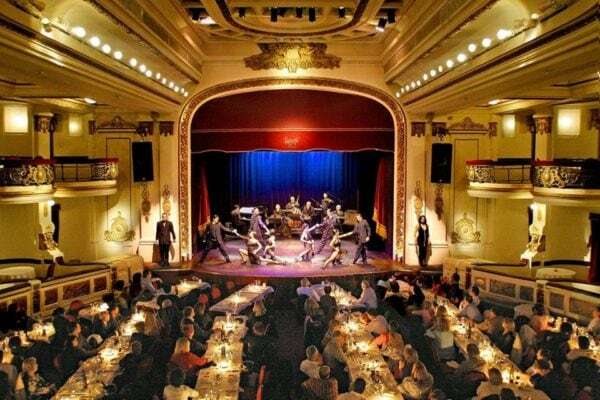 Book an authentic tango experience with the Buenos Aires: Piazzolla Tango Show here. Another way of seeing the beauty of a place is by boat. 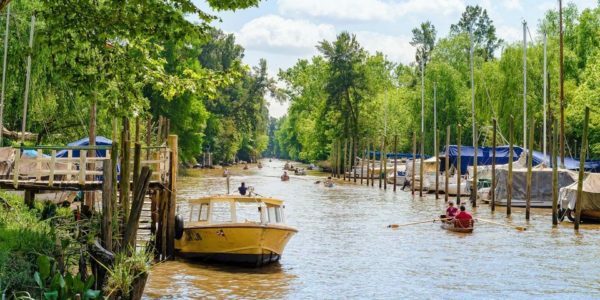 The 5-hour Tigre Delta Boat Trip will definitely give you a different perspective of the architecture, history and people of the Tigre Delta and its islands. Tigre is a town that sits on an island created by rivers and small streams. Tigre’s name derived from the many “tigres” or jaguars that were hunted there in the 1800s. It is about an hour north of Buenos Aires but has become a popular destination for locals as well as a tourist attraction for the unique architecture of the elegant homes and the locals who lived and worked in the Delta. The people who live on the islands of the Delta call themselves Isleños. In this tour, they proudly share their way of life and culture as you visit one of their villages in San Isidro. Towards the end of the tour, you will have a chance to see the Presidential Residence called Quinta de Olivos along with the ornately designed homes along the Tigre Delta. Tourism has sparked an uprise of development and moving into this neighborhood and even brought in Hollywood A-listers. The Tigre Delta Boat Trip gives you the experience of going to an entirely different landscape compared to Buenos Aires which is another great way of understanding the complexity of this country’s history and culture. Book the Tigre Delta Boat trip from Buenos Aires here. First, what is a Gaucho? Gaucho is a term referring to a skilled horseman and traditional cowboy from South America who makes a living by running estancias or paradores (ranches) with herds of sheep and cattle. Gauchos are residents of the South American pampas or grasslands. For more than 300 years now, Argentina has been home to the way of the Gauchos. This full-day tour at Don Silvano Ranch is a day in the life of the Gauchos and offers an authentic look at Argentine paradores. Don Silvano Ranch opened its door to the public some years ago to share the interesting ways of the gaucho life. 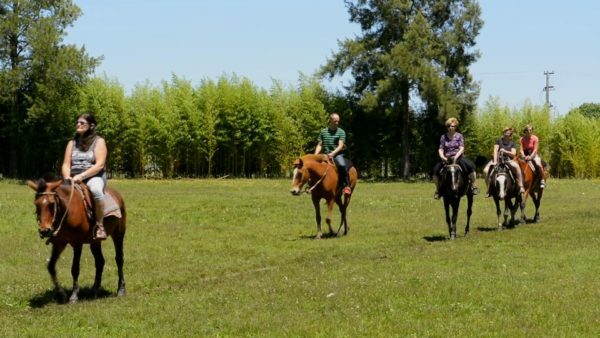 The ranch is an hour drive from Buenos Aires, approximately 87 kilometers away. Prepare your stomach for a whole day of eating a delicious Argentinian feast… To start, the most delectable empanadas (little pie pockets of meat goodness) welcome you at the “Rancho de Adobe” for the start of the tour. As you go around the ranch, you can pay a visit to the museum, bakery, or even do some farm work. You may also try horseback riding or you can just leave it to the professionals aka the Gauchos as they saddle up their horses (maybe just watch them do their thing, haha). For lunch, you will be served a traditional Argentinian asado of homemade sausages, ribs, and chicken. Eat like a gaucho with real Gauchos! While you are having lunch, you will be entertained with a folklore show plus lots of singing and dancing. There are some sweet treats, ice cream, and coffee too for you to enjoy. After lunch, get to know more of about the gaucho ranch life with traditional games and competitions like Carreras Cuadreras and Carrera de la Sortija. All that riding around covered with dust and sweat will surely leave you hungry again. Local snacks like sweet cakes and quince jelly and Argentina’s famous tea called mate will be served. Fill up before you go back to Buenos Aires. You may not really fully understand the life and culture of the Gauchos after spending a day in their paradores but you will see why they are hailed as Latin American legends. 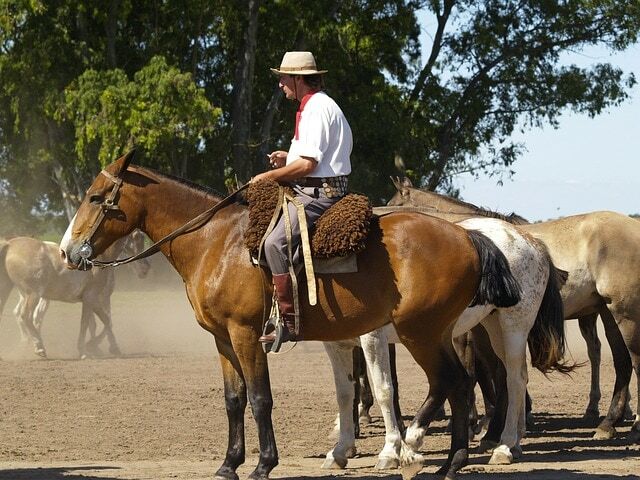 Book the Argentine Gaucho Day Tour at Don Silvano Ranch here. This is the best time to wear your “only here for the food” t-shirt as you go through a long list of deliciousness. Start by acquainting yourself with the food and wine of Argentina. Then roll up your sleeves to create your own empanada in a fun-filled creative empanada-making competition (meaty empanada goodness FTW). Provoleta, chorizo, chimichurri, salsa criolla — even if you don’t understand these words, you know you will be drooling with the sight of the spread. Did anybody order steak? 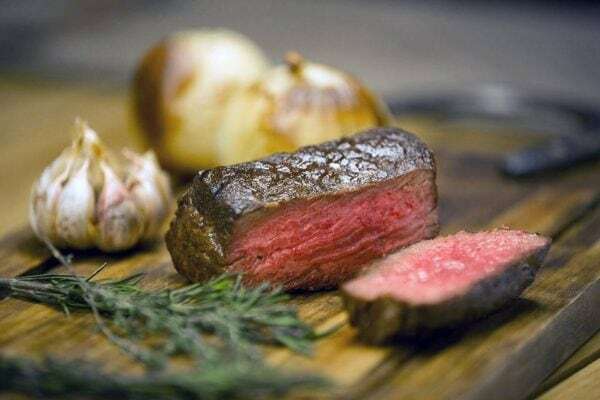 Argentinians love their meat and a juicy bife de lomo will not stop you either. Argentines love their alfajores, a biscuit with dulce de leche (caramel), melted chocolate with coconut shavings. After tasting alfajores all over South America, I can say without a doubt that those from Argentina are the most delicious! Overflowing Malbec wine will help wash it down. They will also teach you how to prepare the mate tea from scratch while they explain the history and the etiquette of this national tea pastime. Hint: the glass is a gourd and they drink it through a metal straw which is shared communally. 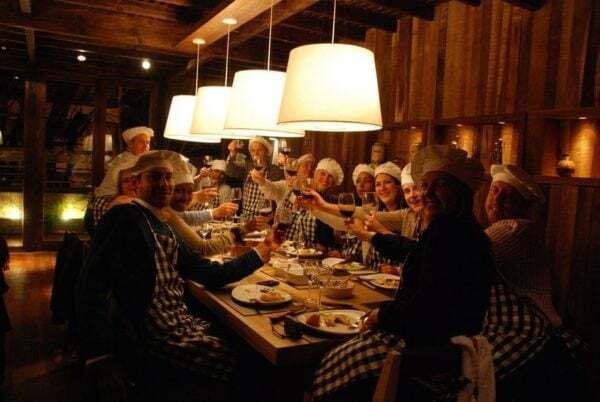 Grab this culinary experience to take a bite (and several sips) of the Argentinian culinary culture. You will bring home happy memories of a full stomach and a few snacks more. Book the Buenos Aires: The Best of Argentina Culinary Experience now. Even previously uncovered secrets are still holding a lot of mystery today. In 1985, Buenos Aires resident Jorge Eckstein purchased an abandoned mansion near his San Telmo home. He wanted to transform it into a restaurant. The mansion was built in 1830 and over many years had become dilapidated and needed a lot of repairs. When they started renovating and repairing the mansion, they found that some parts were sinking. El Zanjón de Granados one of the most important archaeological sites in Buenos Aires. They found underground tunnels and archaeologists and paleontologists were brought in to uncover the purpose of these tunnels. Many Argentines refer to it as “casa chorizo” because the rooms are all in a row opening onto a series of side patios, just like a string of sausages. More of these tunnels were found and almost 2 kilometers of subterranean passageways were uncovered. The experts soon came to a conclusion that these tunnels were built around 1780 to redirect a stream that caused severe flooding when it rained which also brings in a flow of dirty water from the outskirts of town. Today, guests will be able to tour the El Zanjón de Granados museum which acts as the entryway to the refurbished tunnels. The museum also houses an exhibition of objects that were found during the excavation. El Zanjón de Granados is composed of 3 buildings in a complex now referred to as El Zanjón – Idea Site. The complex is composed of Los Patios, El Puente, and Casa Minima. 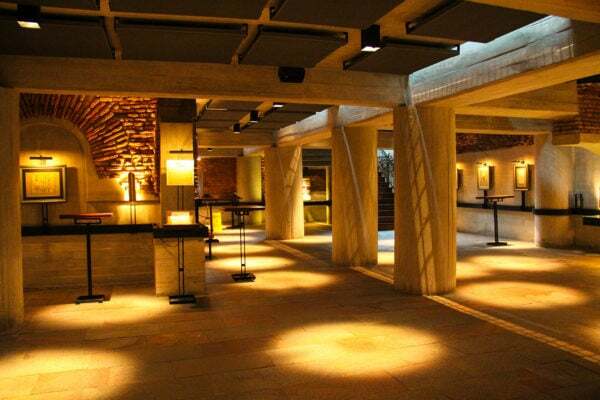 This is not only an archaeological site but also a venue for special events. 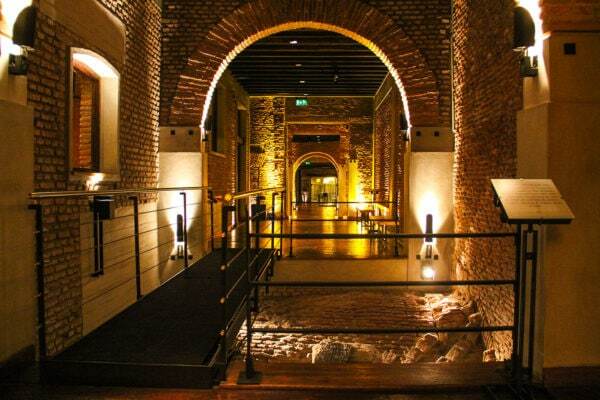 It has also become a unique venue for Portenos to tell their stories of the tango and their city’s history through dance, theater, and mini-opera. Most of the time, we don’t know the secrets lurking beneath the surface. The El Zanjón de Granados tour is the best example of how the Portenos gave importance of a remarkable discovery of their past. Read more about the secrets of the underground tunnels of El Zanjón de Granados here. Click here for details about how to tour the Buenos Aires Underground. For those who like biking around and covering a greater area, a Buenos Aires Bike Tour offers you a fun half-day ride learning interesting facts and seeing European architecture in the capital of Argentina. You’ll get a safety briefing first, of course, whether you choose the south or the north circuit. If you choose the South, you start with one of Buenos Aires’ oldest neighborhoods, the barrio of San Telmo (which is also my personal favorite neighborhood). You will see its well-preserved colonial architecture showcased in the Russian Orthodox Holy Trinity Church, San Telmo Market, and Dorrego Square. Next, is La Boca which is said to be the birthplace of tango. 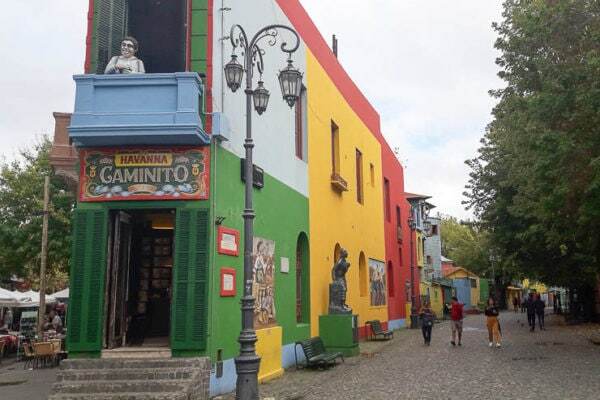 La Boca’s Caminito is where the brightly painted buildings are and where the local artists sell their work. The working class La Boca has retained its many influences from the European immigrants who have settled here many decades ago, despite the ever-growing tourism trade here. 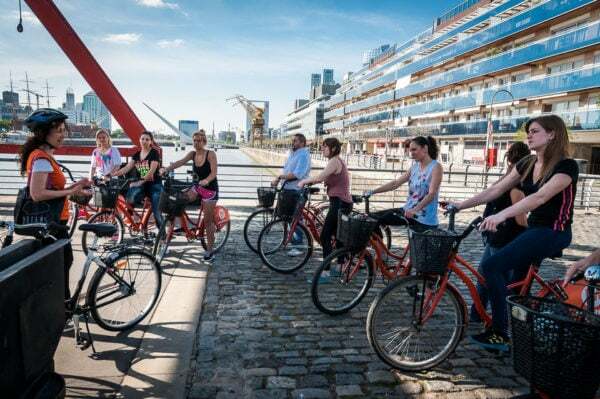 The bike tour will then take you to the modern neighborhood of Puerto Madero, Ecological Reserve that lies between the city, and the Plata river and finally to the historic Plaza de Mayo. Marvel at the beauty of the Government House (Casa Rosada), the Cabildo, the Metropolitan Cathedral, and the main public buildings. 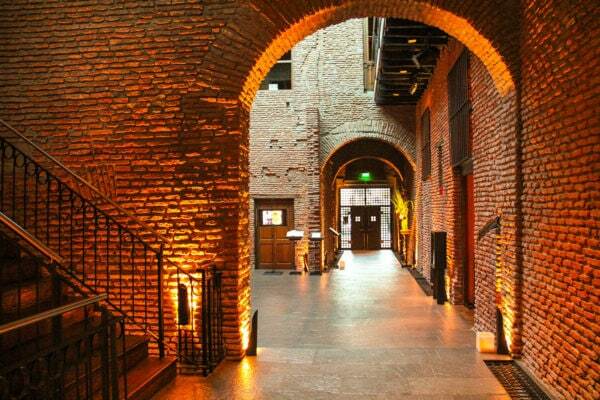 If you choose the North Circuit, this will start in Puerto Madero before moving on to the French-style buildings and large parks of La Recoleta neighborhood. Interestingly enough, the Recoleta Cemetery has the most intricately designed mausoleums and one is that of the legendary Evita Peron. Buenos Aires’ largest neighborhood, Palermo, is where you will also find the city’s largest park and a massive rose garden with over 400 rose bushes. You will see the Buenos Aires Zoo, the Botánical Garden, Plaza Italia, Galileo Galilei Planetarium and the Spaniard’s Monument. Through this Buenos Aires Bike Tour, you will be entertained by the knowledgeable tour guides with facts, urban legends, and secrets of this beautiful city. Join now and don’t forget to bring your camera if you want to bike around the city with a guide. Book the Buenos Aires Bike Tour: South or North Circuit here. Rio de la Plata is the waterway that separates Uruguay and Argentina and it also features the widest estuary in the world. 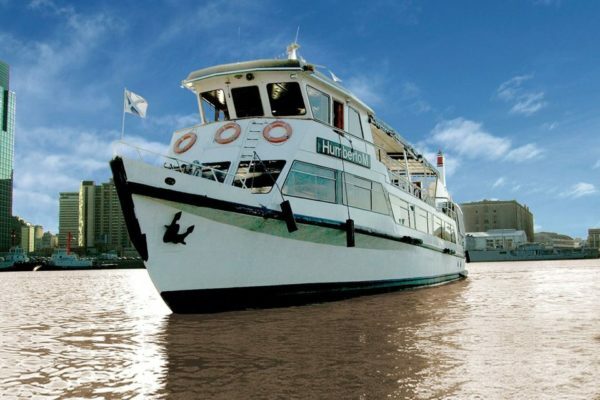 One way to enjoy the sights of Buenos Aires along this river is to get on a cruise. 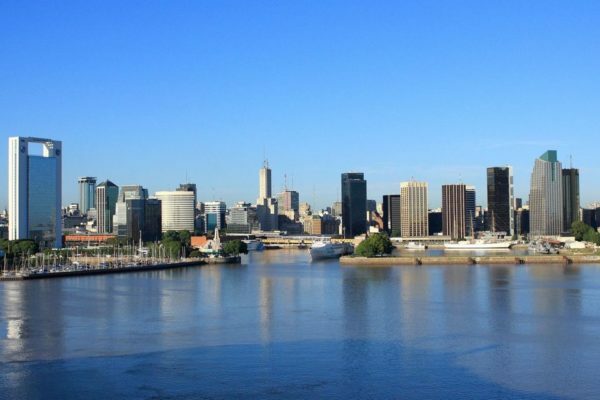 The cruise will start at the north part of Puerto Madero and you will see the stunning views of the port and its other attractions like the Hotel de los Immigrantes, Yacht Club Argentino, and thermoelectric power plants. The tour will take you along the riverside neighborhoods of Retiro, Recoleta and Palermo while you enjoy your 3-course meal. A wide variety of Argentinian wines are available for your choosing, and trust me, the Argentinean wine is amazing. Rio de la Plata Cruise with a fabulous lunch and good wine is a good idea for any day. See you on the cruise! Book the Rio de la Plata Cruise here. Guys this is not your usual slide-step-slide dance lesson. This is TANGO. The Milonga Tour with Tango Lessons will help you learn the basic concepts of this enchanting dance and the whole experience that comes with it. 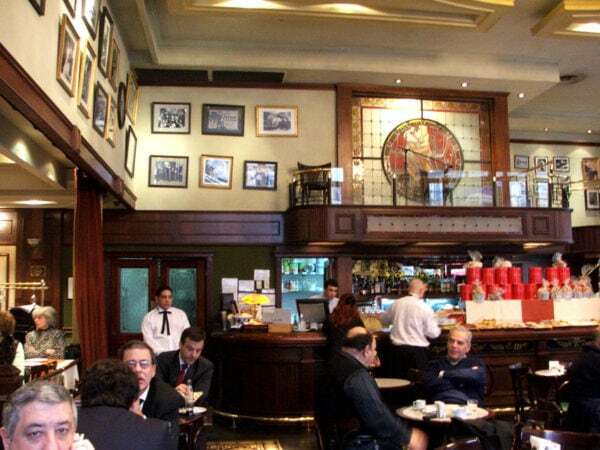 The tour starts at the 100-year-old Café de los Angelitos in the City Center where you will meet your guide. 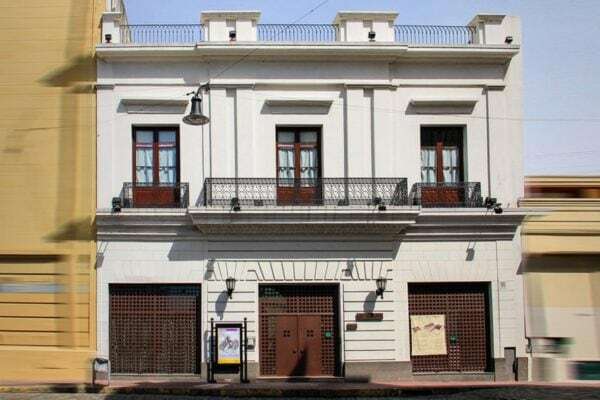 This is where Carlos Gardel, the French-Argentine singer and composer of classic tangos, started his career and his many collaborations with other classical composers. This elegant cafe with its rich history recreates the early grandeur of the 1900s when this dance started to develop. After tea, you will be brought to Carlos Gardel Museum to show you the life and work of the most prominent figure in tango history. His house used to be a tanguería and it is where you get to see The King of Tango’s life in pictures, furniture, personal belongings, and musical instruments. Maybe you don’t recognize the name Carlos Gardel, but you surely recognize iconic songs like Por Una Cabeza, right? If not, go watch Scent of a Woman with Al Pacino. Gardel died tragically in a plane crash in Medellin, Colombia, another city I know very well — they’ve got their own Carlos Gardel Museum there too. And to experience how the Argentines dance the tango, you will be brought to a Milonga. Milongas are cultural places where anyone who wants to dance can join in. This is where you will be given the basic by the expert dancers. Grab that dance partner now! After the tour, you’ll have enough to be able to participate in one of the many free milongas throughout the city, such as those in Plaza Dorrego on Sunday nights. 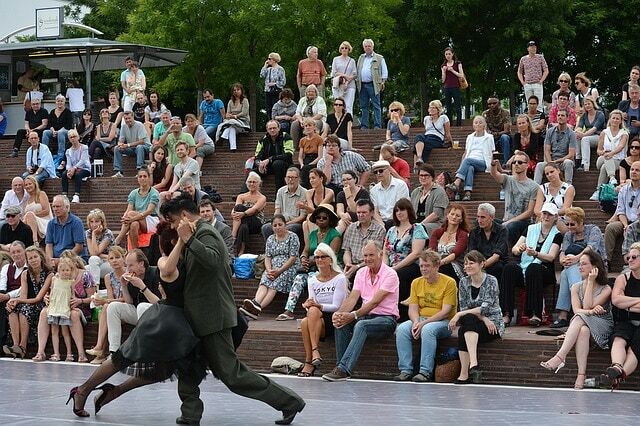 Book the Milonga Tour with Tango Lesson here. Known as the sport of kings, Polo is one of the most exhilarating spectator sports and one of the oldest team sports in the world. Origins are unclear but the earliest known games were played by mountain nomads in Iran and Turkey. It spread out to the world with over 100 countries playing this incredible sport which was last played in the Olympics in 1936 (where Argentina won gold). For centuries it has drawn royalty and even Prince Harry has also played it with the Argentine polo star Nacho Figueras. 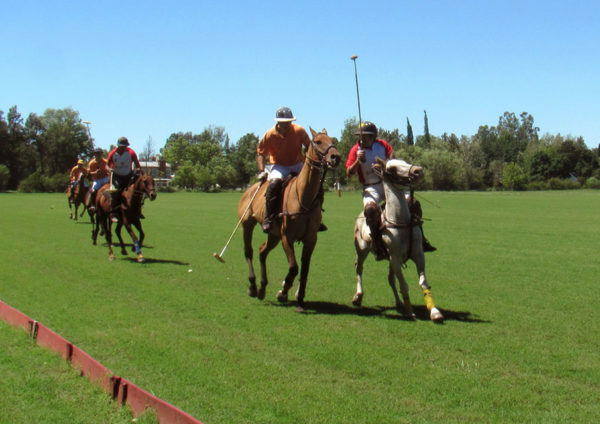 Polo is quite popular with the Argentines, who are natural horsemen (remember the Gauchos?). By the way, Nacho is the biggest star of the sport and is even the face of Ralph Lauren’s Polo. In this tour, you will be brought to the polo grounds which is 45 minutes away from Buenos Aires. While on the way, you will be watching some of the great polo matches in Argentina giving you an introduction for the 5-hour excursion. 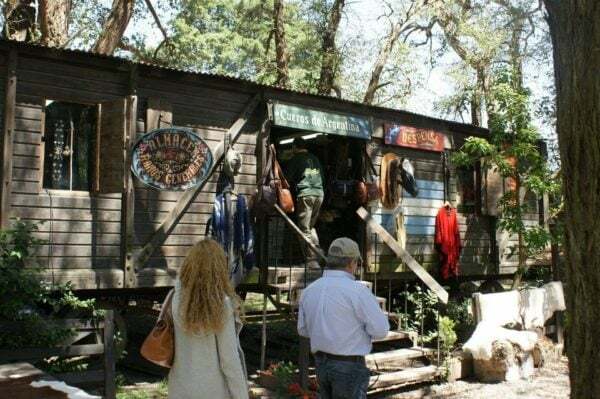 Upon arrival, you will be welcomed with some tasty empanadas and Argentine wine while your guide explains the polo horses, their selection, and the blood lineage. They will also show you here how the polo horses are trained and maintained. 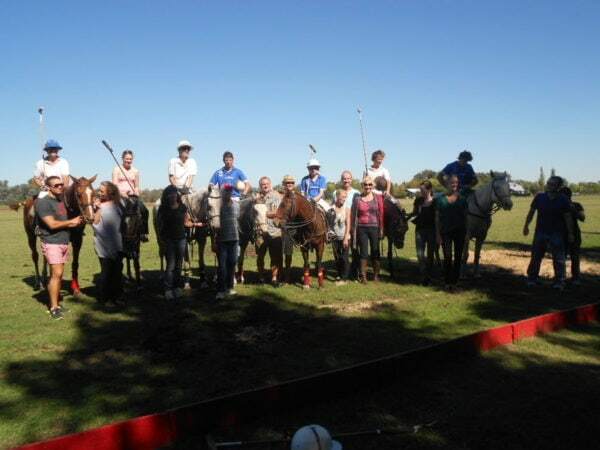 Then ready yourself for a professional polo game with more than 30 horses. Why 30 horses in a game? Polo match is played by 4 players in each team. The match is divided into timed periods called chukkers which is seven minutes long. The polo players change polo ponies every chukker because of the extreme demands of the game. Each pony can only play for a maximum of two chukkers per match. Don’t hold your breath too long because this is going to be good, and is sure to get your adrenalin up and running when these professional players start to play against each other in the massive pitch (a field which is more than 9 football fields put together). Expect to see lots of power and intensity in the field. All of it on top of a moving horse running really fast, as fast as 70 kilometers an hour. At the end of the tour, you could even be on a horseback overlooking the sunset while you tour around the polo grounds. How beautiful is that? Book the Half-Day Trip to a Polo Match now. Buenos Aires is nicknamed as the Paris of the South and you can discover part of the reason why with this 3-hour Private Art and Museums Tour in Buenos Aires. 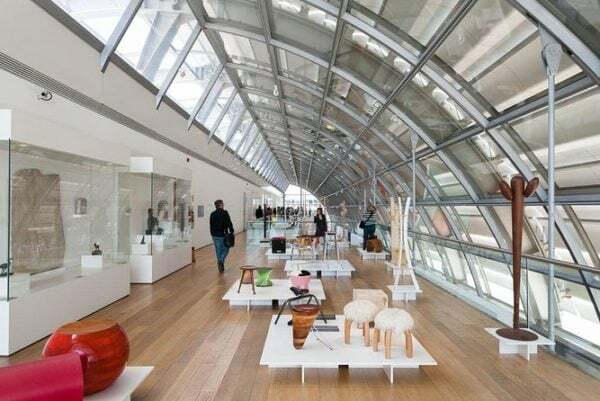 The following places will be curated into an art lover’s dream: the Museo Arte Moderno, MALBA, Museo de Bellas Artes, and the Coleccion de Arte Amalia Lacroze de Fortabat. Then you will head on to Recoleta’s most exclusive art galleries to meet prominent local artists as they talk about their art. This will give you a better understanding of modern Argentine art and how Buenos Aires inspire them. With this well-curated tour, your professional art guide will help you discover why Buenos Aires is the Paris of Latin America and how it has risen to be one of the biggest art producing cities of the world. 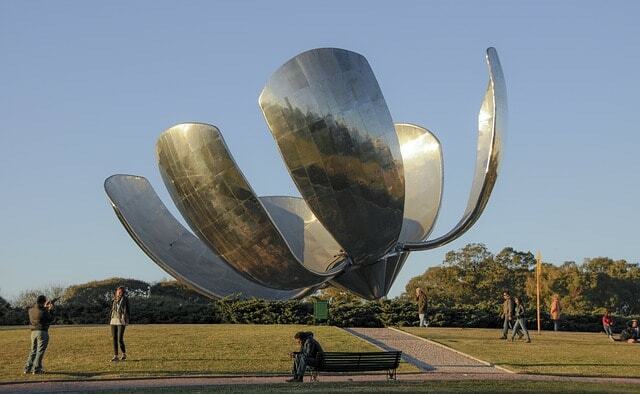 Book the Private Art and Museums Tour in Buenos Aires here. 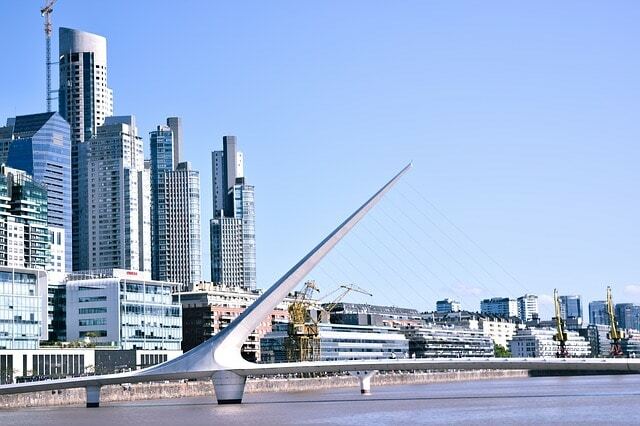 Buenos Aires combines European charm with Latin passion. It has gone beyond my expectation and its reputation. With its colorful neighborhoods and romantic tango dancing, it is indeed a carnival for your senses. This larger than life city is a little like its famed polo: powered by intensity and speed but still exudes elegance and charm when you experience it. Buenos Aires is without a doubt my favorite city in South America–or all of Latin America, really. What I have shared here are 11 Buenos Aires tours that are not going to disappoint the adventurer in you as you experience this very beautiful and dynamic city. Just thinking right now, I still have 100+ things that I would like to do (or do again) in Buenos Aires. 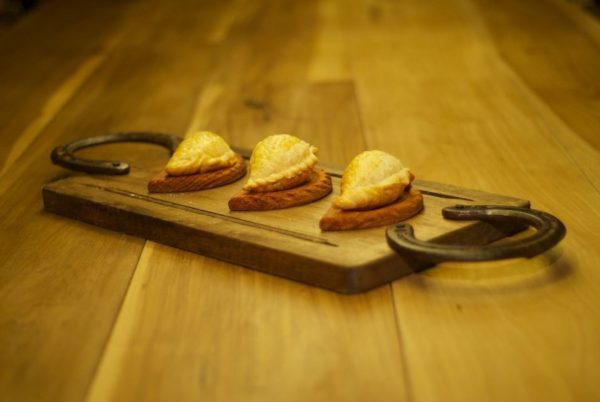 Maybe some more of those empanadas and choripanes (and cough… more steaks and Malbec!). My girlfriend and I still talk about the day when we’ll get to go back, maybe rent an apartment for a few months and live like local Portenos… One month simply wasn’t enough! I hope this article will help you choose your own adventure in this charming city of Buenos Aires, Argentina. You’re sure to have fun whether you are visiting Buenos Aires or other parts of Argentina for a few days or a few weeks. 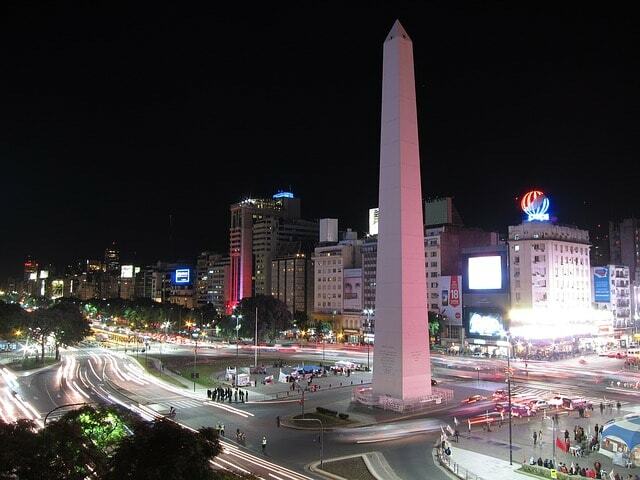 Traveling to Buenos Aires? Be sure to book your hostel or hotel from Booking.com now to save. And don’t forget to purchase travel insurance to protect yourself against injury, theft, and sickness. I recommend World Nomads. Did you enjoy this post about the best Buenos Aires tours? Please take a moment to share it on Facebook, Pinterest, or Twitter.